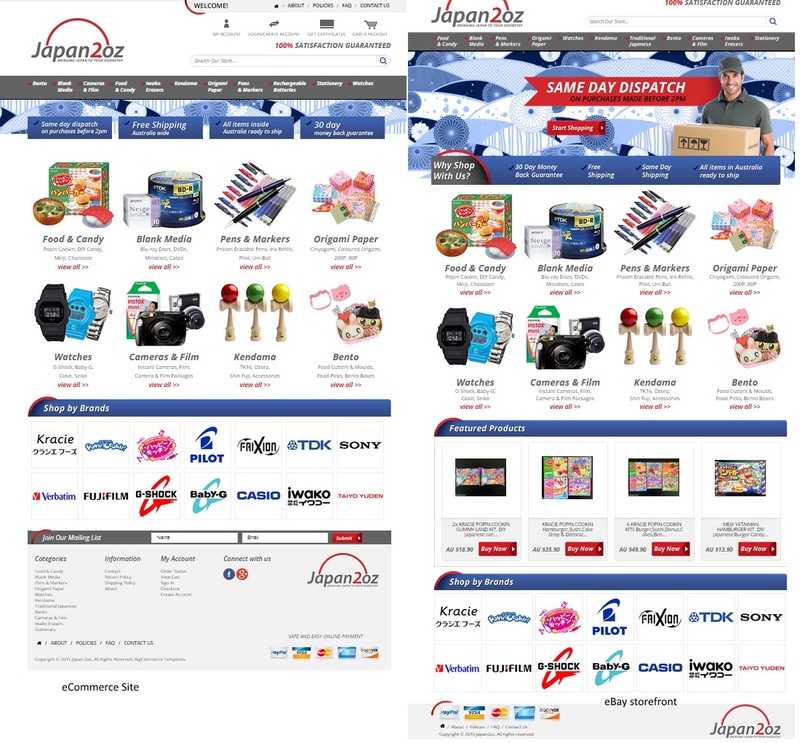 When we were approached by our client, Japan2Oz for help with boosting their sales, we suggested that they consider creating matching ecommerce and eBay sites to attract twice as many customers. At OCDesignsonline, we know how important it is to create a quality ecommerce platform for our clients. When we help customers create sites that will appeal to a wide target market, we can help improve their sales. We offer a $400 discount on our ecommerce bundle package, and so our clients can save money while getting a great product. While sometimes we’ll create completely different, yet complimentary, ecommerce and eBay storefronts for our customers, we wanted the pages to have the same feel. 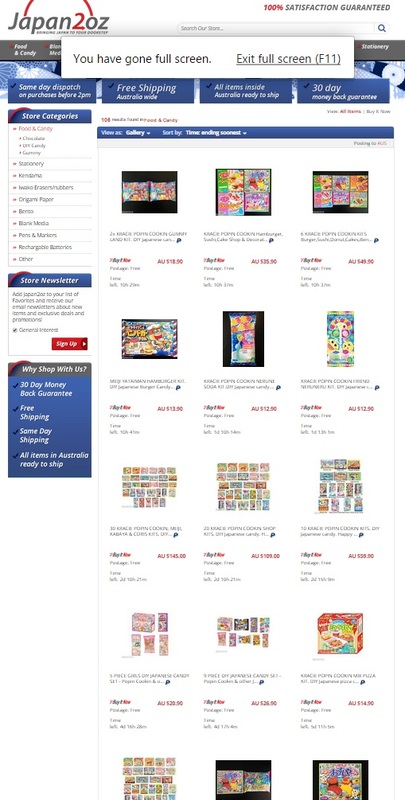 The only major modification between the two sites is the addition of a header image to Japan2Oz’s eBay storefront. Our client offers customers a wide variety of products ranging from stationery to electronics to toys. We felt that in order to help highlight the fact that they are a company that sells Japanese goods to an Australian market, it was best to keep the design end of the sites similar and simple. This also highlights the brands and products carried by our client. Just as do products placed near cash registers in stores, featured products make it easy for customers to grab products they might otherwise not know a store carries. These little impulse buys can add up to big profits over the long term. Moreover, featured items help build repeat business when customers come back to see what’s new, on sale, popular, or of particular interest to them in the store. We made sure that both the ecommerce site and the eBay storefront had space to feature our client’s products. We wanted to pull the branding throughout the entire eBay store, so we made sure that all of the custom category search pages in our client’s eBay store were fully branded and easy to navigate. This gives the eBay store just as professional a feel as the ecommerce site has, and it makes it easy for customers to browse the eBay store products. We kept the sidebar listing of categories, so that customers could travel from one page in the store to another. At OCDesignsonline, we have a wide array of eBay listing templates from which you may choose on our site. Take a moment to browse our portfolio; request a free quote when you’re ready. Also, don’t forget to find us on Facebook, Twitter and Google+!